Up to 48 probes targeting the same RNA, which can be pooled and labeled together, will cost like 1 probe + $150. 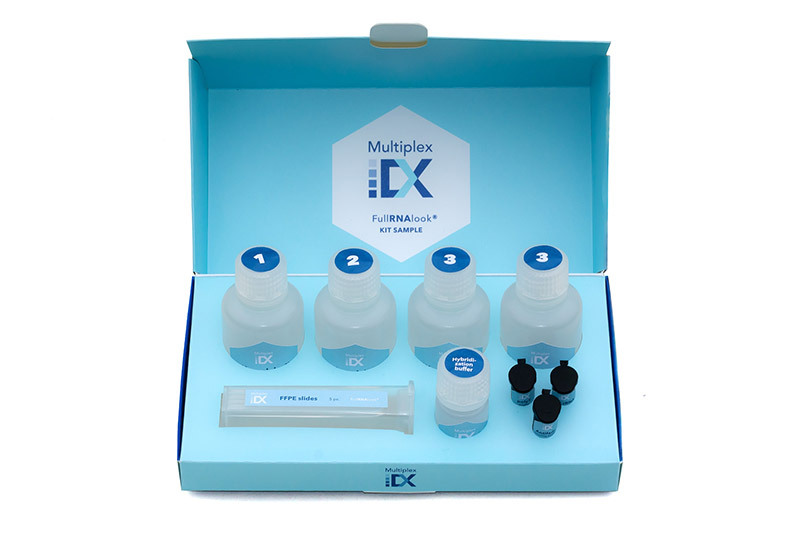 MultiplexDX is using a novel multiplexed DNA/zRNA FISH technology allowing simultaneous visualization of 8 and more fluorophores. It overcomes current limitations and increases cost-, time-, and labor-effectiveness of DNA/RNA FISH by improving the probe design and automating the probes synthesis.